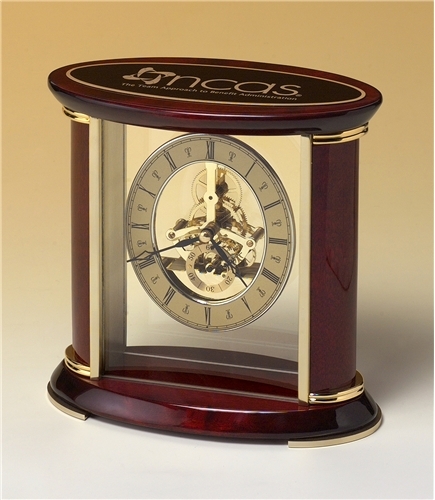 Features a second dial, brass finished movement and rosewood piano finish accents. 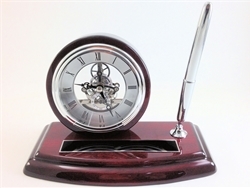 Intriguing see-through clock face with a lifetime guaranteed quartz movement. 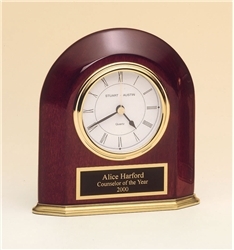 Includes a solid brass black enameled engraving plate at the top.